Jennifer Jordan has worked in the legal field for over 18 years. As a licensed private investigator under an investigation firm in Watkinsville, GA she has special experience in criminal defense, private investigations, and process serving. She is an active member of National Association of Professional Process Servers (NAPPS) and also has over 13 years of experience in real estate law, including work as a title abstractor and facilitator of numerous real estate closings. 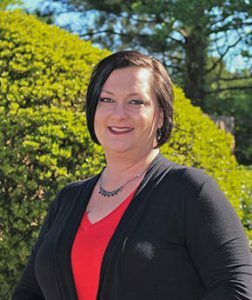 Jennifer graduated from Athens Tech in 1998 with an Associate Degree in Accounting. She later graduated from Almeda College, receiving a Bachelor’s Degree in Business Administration, and, in 2007, received her Private Investigation Certificate from Gwinnett Technical College. Skilled in private investigation, Jennifer has assisted attorneys in preparing for and conducting criminal trials ranging from drug offenses to murder. With her experience in the courts and her knowledge of the judicial system she is an invaluable resource in the firm’s effective representation of its clients.